Dr. Gary Nickerson has provided excellent dental care to children in Illinois, Michigan and Indiana for over 25 years. 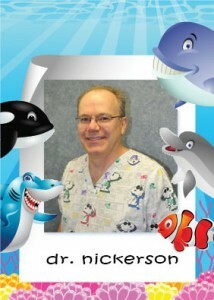 He has been at Pediatric Dentistry of Northwest Indiana since 1997. After earning a Bachelor’s Degree in Biology from St. Xavier College, he received his Doctorate of Dental Surgery from the University of Illinois College of Dentistry. Once Dr. Nickerson realized he wanted to specialize in children’s dental care, he earned a Specialty Certificate in Pediatric Dentistry from Loyola University School of Dentistry. Dr. Nickerson maintains active memberships in the American Academy of Pediatric Dentistry, American Dental Association, Indiana Dental Association, and Northwest Indiana Dental Society. He is married and has three adult children.